People applying for a career in environmental services should be aware of several key aspects that make the environmental résumé different from the general resume format. 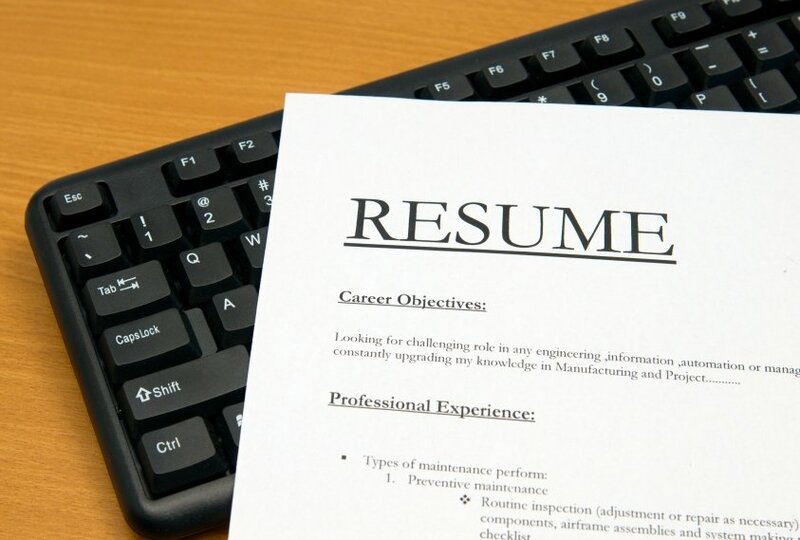 Most people have written at least one résumé in their lifetime, and anyone who has done it, knows that resume writing can be a tedious and frustrating task. New college graduates, and newcomers to the environmental field looking to land the right job, should be aware of several key elements that should be included in every environmental resume. Place all contact information at the top of the page including name, address, telephone, and e-mail address. The name should be in bold to stand out so it becomes more memorable than less important information like the address. A good idea for environmental résumé is to include a current title with the name. Rather than writing John Smith; consider John Smith, Biologist Aid; Or John Smith, Environmental Tech I. Titles from recent internships or environmental positions can be used as well. Concentration: Because there are many different concentrations and focuses within the environmental science filed, it is important to be specific about the area of science in which the greatest education occurs. For example, an environmental science graduate applying for a position with a stream ecology firm should be sure to include the phrase “Concentration in Hydrology” if this is the case. Simply writing environmental science does not clearly indicate an educational expertise. For example, an environmental science graduate applying for a position with a stream ecology firm, who may not be able to use the phrase “B.S. Environmental Science: Concentration in Hydrology”, should consider writing “B.S. Environmental Science: Stream Ecology Focus” instead. Relevant Coursework: It is important for environmental services applicants to include a list of relevant coursework within the education filed of the résumé. Many employers want to know rather quickly not just if the desired degree is available, but to what extent the applicants specific coursework relates to the work required for the position being applied to. It is important for applicants to contact the company they are applying to in order to determine the specific tasks the position will require. The more an applicant knows about the specific tasks of a position, the better they can target their application for that position. Equipment used at a particular company. Employers in the science industry like to see that candidates have experience using a wide range of equipment. Even if a particular device is not needed in the job being applied for, listing various devices shows employers that a candidate holds a contemporary knowledge of science devices, and that the candidate has an ability to learn new-technologies should the company hiring seek to purchase new equipment. Materials worked with. Listing materials worked with gives applicants the opportunity to show their environmental experience. Include relevant phrases such as sludges, soils, wastewater, toxic wastes, PCB-contaminants, Form U wastes, animals etc. It is essential to include the particular materials that were being tested in the previous position. Tests run. Beyond equipment and materials, it is important to mention the various tests executed a particular position. These may include pH, ammonia, BOD, COD, CBOD, fingerprint analysis, nitrate, nitrite etc. Even the smallest test at a previous position may be a major aspect of a new position, which would stand out to the employer. Permits. Any permits a candidate has worked with or under should absolutely appear on the résumé. One of the most difficult aspects of working in the environmental field is operating under, and maintaining compliance with, environmental permits. Permits can leap out at employers who struggle with these requirements on a daily basis. Including these permits can be the one detail that separates a résumé from the rest of the pile, and therefore lands an interview. Certifications. Many environmental service companies bear a huge expense in both time and money in trying to get new employees up-to-date with the certifications required for employment. Listing the right certification could save a company thousands of dollars if a candidate is already certified. Be sure to review previous positions and include any certifications in this section. It is important for job candidates to remember that a résumé is the very first impression made on a potential employer. For this reason, each résumé should be tailored to compliment the specific job being applied for. Tailoring a résumé for a specific environmental job can be accomplished by altering coursework, and listing a concentration/focus under the education field. Listing the equipment used, tests run, and materials worked with at previous jobs. Also list any permits and certifications held that will save employers money. Remembering to include these elements is key to landing a great environmental career. Has the various criteria/layout specific to an Environmental resume been changed or updated since this this article was published?. I am having no luck with my current Resume (which follows the layout as described above) and am wondering if you might have any aditional advice. Many of the tips in this article still apply, as these are general, essential elements for résumés targeted to environmental work. The key challenge is often building a larger job search strategy that includes a strong résumé alongside targeted cover letters, informational interviews, networking, and follow-ups with prospective employers. A great résumé is definitely part of getting your foot in the door, but on its own, it is usually not enough. For resources to learn more about building a comprehensive job search strategy, it’s worth checking out the other articles in this blog, including this post and this one, as well as our Job Seeker Playbook (available here). I wish you the best of luck in your job search! As someone who has helped quite a few people with their resumes and cover letters, I agree with many of these tips. I cannot emphasize enough how important it is to have a fresh pair of eyes read your resume and cover letter template. Whether it is a spouse, parent, neighbour, family member, friend, whoever, have a few people read them over. It is amazing the number of spelling mistakes and the like that someone else can catch and you want your resume to be 100% perfect. It does not hurt to read it backwards, word for word, to check for accuracy. Ensure you pick a font that is easily readable. Ensure your resume tells a story – tells YOUR story – in an interesting way. The resume will be kept and it will be remembered. So many resumes look exactly the same and your potential employer will only glance through them. While you may have a standard form of cover letter, make sure each cover letter contains information relevant just to that particular position or business. You want the reader to think they are receiving a personal letter and not a form letter that has been sent here, there and everywhere. Ensure also that the key points you want to make in your cover letter are made in short paragraphs so they stand out and are read. Don’t have two or three “super large” paragraphs that contain all sorts of important information. They probably won’t be read as thoroughly as you would hope them to be. Lastly, don’t be afraid to have some white space on your resume. It makes it so much more inviting and readable. ECO Canada offers training and certification to environmental professionals, explore our site to navigate these options. We can’t speak specifically to what programs you’d need to take, but we can help support you on your career path. This article provided a lot of helpful tips for me and re-creating my resume. I am currently trying to do a bit of a career switch from medical to environmental. I have a BS in Biology with a minor in Earth Science but just spent two years in the medical field and am now wanting to change to environmental. Any tips or ideas to help cater my resume to the environmental field? You could check out our new Employability Guide. It doesn’t have information about resumes specifically, but lots of helpful tips about getting ahead in the environmental industry. I have been here in Canada from last 2 years and did my masters in environmental sciences from country of origin(Pakistan). so my degree is basically focused to coursework. Now i want to start my career in Calgary and also want to update my education here. I need help in composing my resume and about resources where to apply my internship. Hi, if I wanna know that my resume is now ready to send for job posting or could you please review it for me . Hello, we don’t offer resume reviews but there are lots of great services that do. Best of luck in your search and keep checking our job board for the latest industry openings.